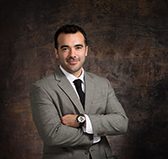 Hector Mesa is an Associate in Perez & Rodriguez’s insurance defense practice group. Mr. Mesa’s practice primarily focuses on the representation of insurers in the area of personal injury protection. During law school Mr. Mesa served as Judicial Clerk at the Third District Court of Appeal. Mr. Mesa assisted the judges by preparing bench memoranda, oral argument summaries, and by performing legal research on various criminal and civil issues.